UPDATE: I no longer use a power conditioner, it has been replaced with a DIY power distribution panel, but it also has a centralized grounding point. Since the Apple TV is not connected "electrically" to the DAC (i.e. only via optical interconnect) and it only has a two-pin plug there is no need to ground it . 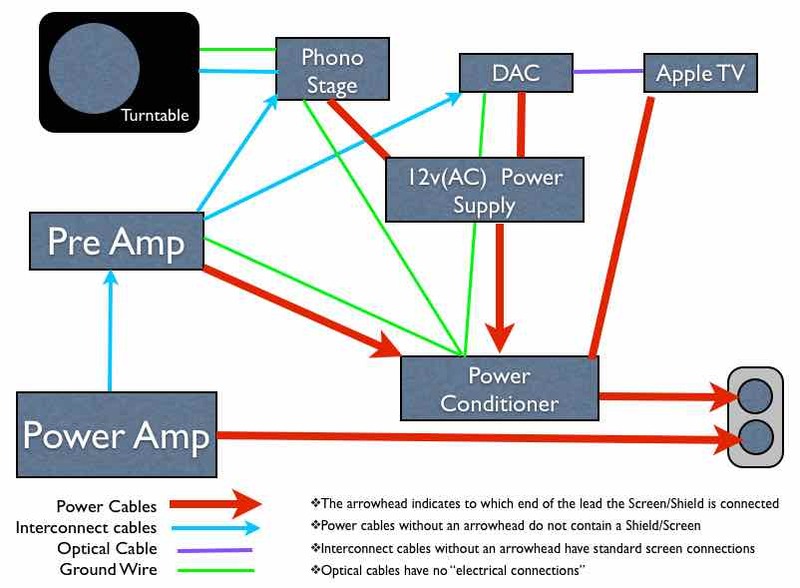 I have included a Pre Amp in the diagram in order to show how the interconnect to the Power Amp must be attached.